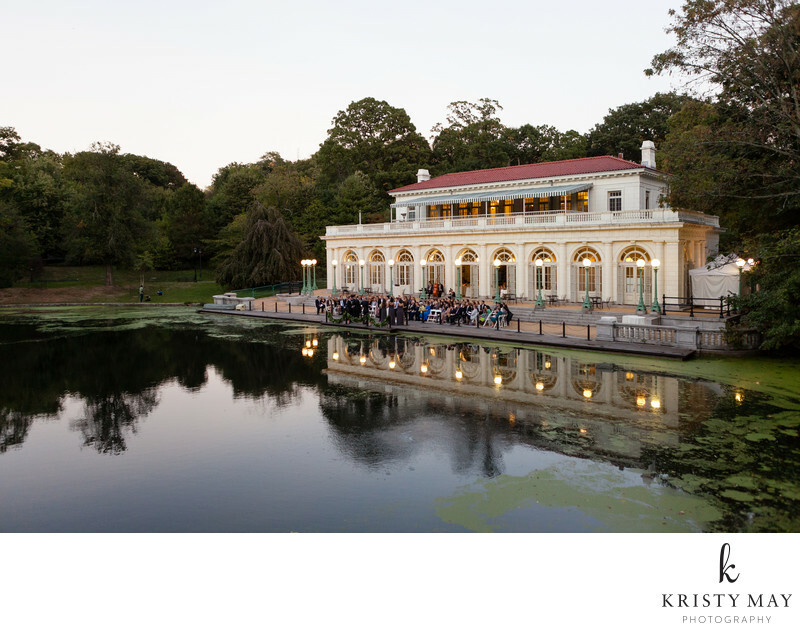 The Prospect Park Boat House was built between 1905-07 in a classical style by protégés of McKim, Mead and White. It sits on the edges of Lullwater of the Lake and offers a serene and beautiful setting for an indoor/outdoor wedding. See the rest of this wedding here. Location: 101 East Dr, Brooklyn, NY 11225.